Event was organized by the women’s ministries department of the Tonga Mission. The Queen of Tonga, a nation comprised of dozens of islands in the south Pacific Ocean, was the guest of honor at a prayer breakfast organized by the women’s ministries department of Tonga Mission church region in the South Pacific. Around 400 people, mainly women leaders gathered at the Queen Salote Memorial Hall in Nuku’alofa for the special breakfast on Nov. 18. More than half of the attendees were not members of the Adventist Church. It was the first time the breakfast had been held. 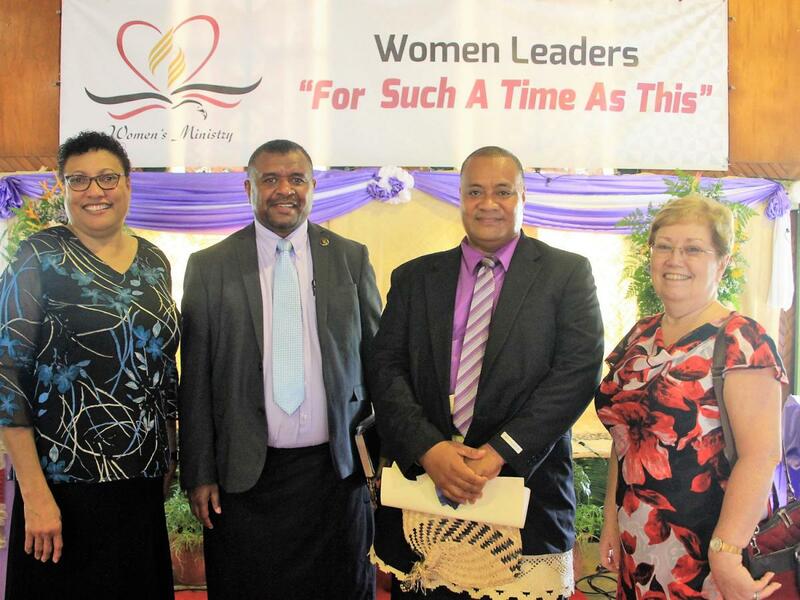 The theme was “Women leaders—for such a time as this,” and featured keynote speakers Heather-Dawn Small, General Conference women’s ministries director and Erna Johnson, South Pacific Division women’s ministries director. Fonokalafi said the program was made possible through funding from the Trans-Pacific Union Mission’s city evangelism program, which covered part of the expenses. 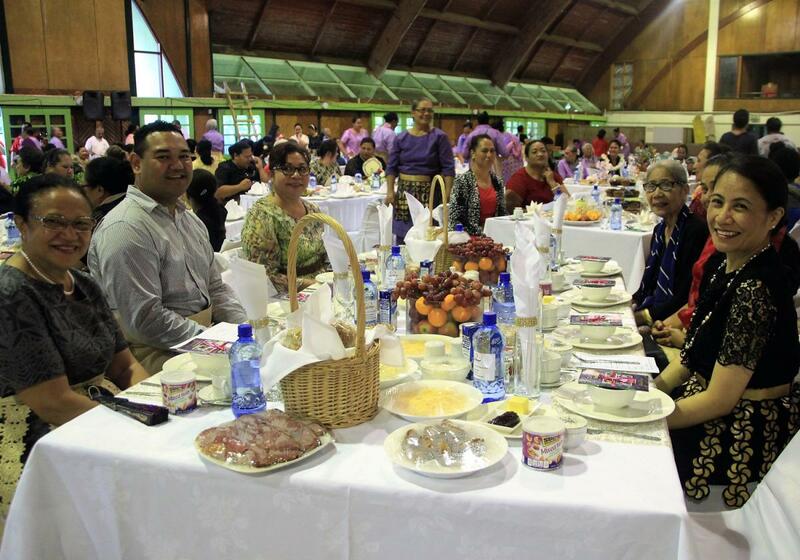 Women of the Tongatapu district contributed the food. “Feedback from the visitors who attended was very positive, and they are already asking when we will have the next program,” she said. Johnson said it was a great honor to meet Queen Nanasipau’u. “I had never spoken to her before,” she said. “We met her when she arrived, and when she left, we walked out with her and had a good chat. She was very, very appreciative of the messages that were presented, and she asked us to make sure that it [the prayer breakfast] is done on a yearly basis. 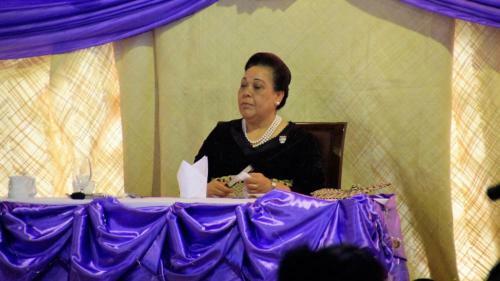 Several other Seventh-day Adventists with royal connections were present at the prayer breakfast, including a first cousin to the Queen.